The Spectacular presidents Cup in Las Vegas-Nevada is now!!! Athletes from forteen different countries compite in Poomsae and Kyrougy modalities in this G2 event. Date: october 12. #G2 Senior Kyrougy Male: – 54 kg – 63 kg – 74 kg – 87 kg. Female: – 46 kg – 53 kg – 62 kg – 73 kg. 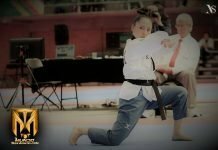 #Poomsae Junior, Senior, all division). #G2 Senior Kyrougy Male: – 54 kg – 63 kg – 74 kg – 87 kg. Female: – 46 kg – 53 kg – 62 kg – 73 kg. #Poomsae Junior, Senior, all division.